Athabasca County, Alberta – Over the past 3 days the Boyle/Athabasca Integrated Traffic Unit has been busy dealing with higher than usual speeds. Mounties and Sheriffs have noticed that the warm spring weather and favourable driving conditions have some motorists dangerously increasing their speeds. 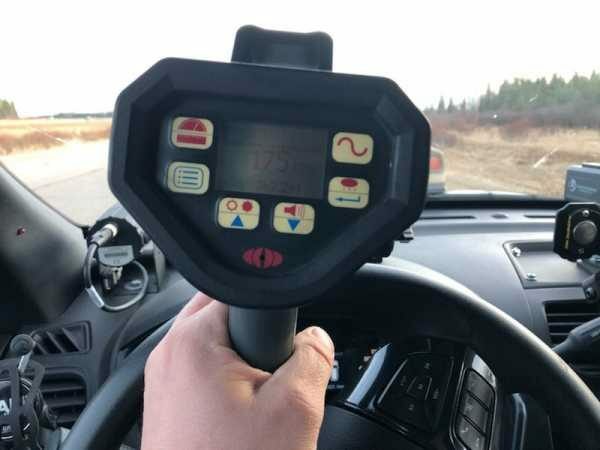 On April 10, 2019 an officer was on patrol on Highway 63 near Wandering River when he observed a newer sedan appearing to be travelling very fast. The officer’s radar showed the sedan to be approaching at 188km/h in the posted 110km/zone. The driver was apprehended and will appear in Boyle Provincial Court in May. 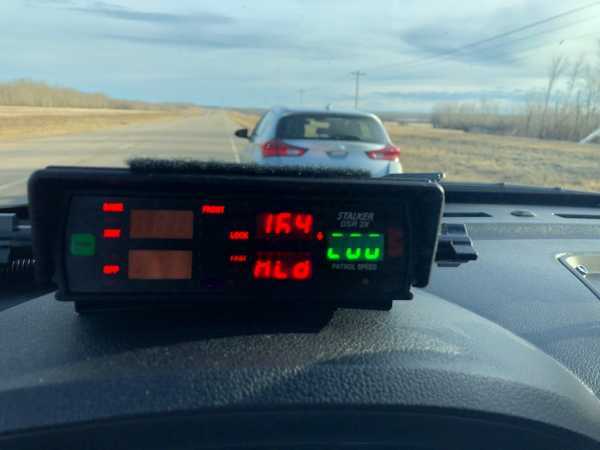 On April 11, 2019, between the late afternoon and evening officers had charged 6 more drivers travelling at more than 50km/h over the posted limit in the same region. Speeds of 174, 164, 163 km/h were at the higher range of offenders. Once stopped, additional violations such as driving while suspended and improperly installed child seats were observed. Violators travelling more than 50 km/h over the posted limit must appear in Court. When convicted, fines typically range from $1000-$2000 with potential for a jail term, and Driver’s license suspensions from 30 days to 6 months. April is aggressive and speed enforcement month on the Alberta Traffic Safety Plan’s Calendar. Police, Sheriffs and partners will continue to focus on apprehending these high-risk drivers to keep Alberta’s roads safe.